Happy Texas Music Thursday everyone! 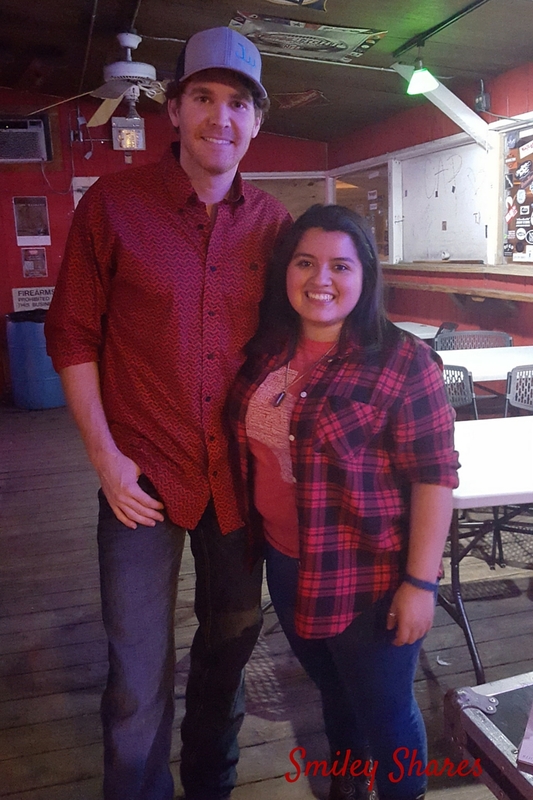 It’s been a while since the last Texas Music Thursday blog post, but I am excited to be back posting and sharing more about my love for Texas Music. Hopefully you enjoy. Now, lets get down to it! Usually, I plan ahead of time the concerts I will be/would like to be attending a couple of weeks in advance in order to plan ahead. Welp, somehow, in the middle of January I found myself planning to go to a Curtis Grimes concert in Houston in just a couple of days. There was a possibility of us going to Houston but nothing was really set. But just in case, I started making plans. I needed to find someone to go with me, and figure out where they would pick me up. Most importantly I needed to figure out what time would the bus possibly arrive? and would be able to even make it in time for the show?! I mean, if there was no way I would make it in time, then there would be no point to planning. Thing is, I wouldn't know for certainty until Thursday. Boy, am I glad that I planned! Thursday we bought our tickets and everything was "sort of" falling into place. YAY! Well, after a 7hr drive up & a scary bus drive (the bus turned off) we finally made it to Houston! Woot Woot! Except my ride was still at work and I wasn’t able to get a hold of him. BOOOOOOOO….Well after what felt like HOURS! We finally made it out to the Firehouse Saloon, YES! We realized that we had missed both of the other acts, which I was pretty bummed about it. Thankfully, Curtis Grimes wasn’t on stage just yet. Phew. This would be my second time seeing Curtis Grimes in concert. The first time there was unfortunately a small crowd, however, he gave a full energy performance. This is why I was even more excited for that day, I was ready to see him interact with everyone there and put on a great show. Thankfully, I was not disappointed. From the beginning, Curtis Grimes worked the audience. He invited everyone to dance and sing along. Personally I loved that he sang his both “Smile songs” back to back, because well, my blog is named Smiley Shares. Seriously though, it took me back to the first time I heard “Smile” a couple of years back and it was the song that encouraged me to check out the rest of his music. Anyways, getting sidetracked here, back to the show. After his smile songs, he continued playing some of his older songs, like the Oh, so clever “Texas Plates” and even covered the “Sing- A – Long” Song “Fishing in the Dark” (Nitty Gritty Band). To the surprise of my friend he even played his own version of a couple of hip-hop songs, (according to my recordings they were Crossroads & Lollilop). And, I actually really liked these versions, although maybe not the actual songs. (Don’t go off listening to Lollipop lol). 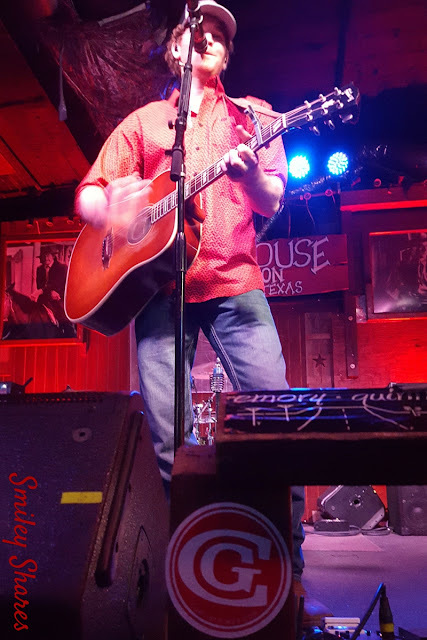 Besides singing “Smile that Smile” he also, played other songs from his latest EP, including the new single “Bottom of the Fifth”, as well as “Longer”. I have the EP and had heard these songs several, several times before, but this was the first time seeing him perform them live, and let me tell you something, nothing beats a live performance. He totally killed it! Once I FINALLY finished talking, he still agreed on a picture. My favorite part of the whole show, is right before he sang his most popular song "Irresponsible",a song about being unpredictable and dysfunctional he gave thanks to God. He acknowledge that without Him we wouldn't be where he is today. As always, Curtis Grimes met with those that wanted to, after the show. He was patient, listened, and thanked everyone around. He even let me ramble when talking to him, and signed all the "Bottom of the Fifth" EP's I planned on gifting to some friends. He did this all with a Smile on his face. 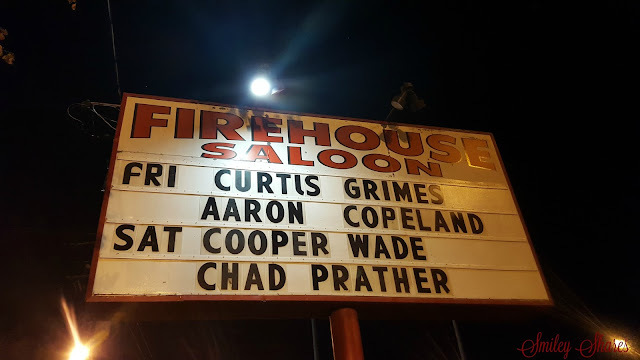 Now, if you want to keep up with Curtis Grimes, check out any upcoming shows, or would like to listen to his music. Make sure to follow him on social media!